We were so impressed by the work of Krista of sugarcoat it studio …. 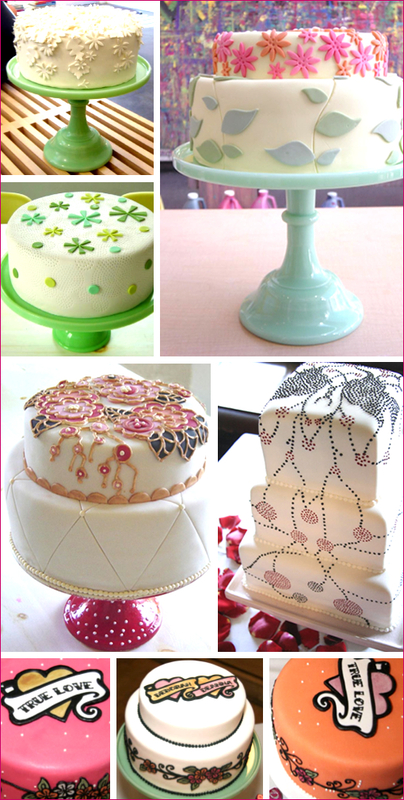 we decided to let her tell you a little about her graphic design inspired cake studio. 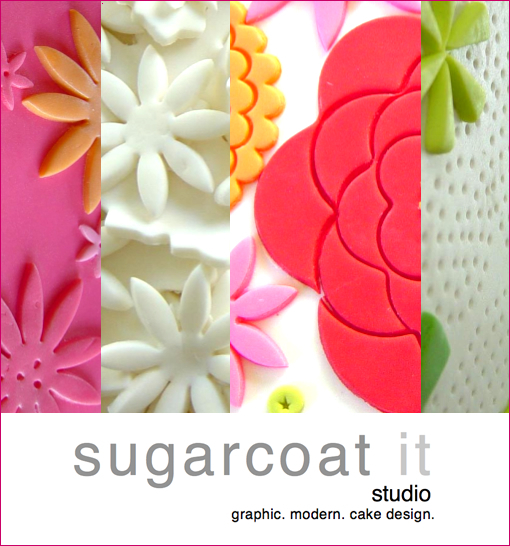 Hi… my name is Krista Markell and I recently launched a new graphic, modern cake design business called Sugarcoat It Studio. I was featured this summer in Daily Candy San Francisco, which jump started my PR efforts. I’ve discovered your blog and thought you might be interested in my work. I’ve spent most of my working life in the world of modern design - within the furniture industry. That influence is very apparent in my work, which is inspired by textiles, wall coverings, rugs, and tile - as well as fashion, housewares, paper goods and my customer’s event invitation graphics. I’ve had many successful collaborations with a local letterpress designer - Stolen Plate Press. Please let me know if you’d like to learn more about me and my work. If you are ever near the Bay Area, I’d love to share tasting samples with you as well. I look forward to hearing from you!